China will continue with stable macro policies and adopt a combination of fiscal and financial measures in an effort to boost domestic demand and bolster support for real economy, the State Council's executive meeting chaired by Premier Li Keqiang decided on Monday. The government will give targeted and well-timed regulation in face of external uncertainties and maintain that economy performs within a reasonable range, adding that it will firmly refrain from resorting to a deluge of strong stimulus policies, the Monday meeting announced. The Chinese government puts developing the real economy high on its agenda. President Xi Jinping underlined the importance of improving the fiscal spending structure by prioritizing funding in key areas and projects. In this year's Government Work Report, Premier Li Keqiang stressed the need to focus on the real economy and leverage the proactive fiscal policy to tackle the financing difficulties facing small and micro businesses. In the first half of 2018, the government made tremendous efforts to cut costs for the real economy, including by maintaining robust public spending and scaling up tax and fee cuts. The government also introduced tax incentives and other measures to make financing more accessible and affordable for small and micro enterprises. The Monday meeting agreed that a more proactive fiscal policy will be pursued. The government will focus on introducing deeper tax and non-tax fee cuts, and more companies will be eligible for the preferential policies of the additional deduction of R&D spending in taxable income, a policy which is expected to cut another 65 billion yuan of tax within this year on top of an initial goal of cutting taxes and fees by 1.1 trillion yuan this year. 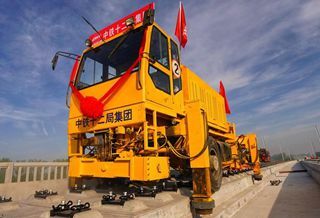 Efforts will be stepped up in issuing the 1.35 trillion yuan of special bonds for local government to see more tangible progress on ongoing infrastructure projects. Prudent monetary policy will be neither too tight nor too loose, and aggregate financing and liquidity will remain sufficient, the meeting announced. A better and smoother transmission mechanism is needed to see credit policy incentives effectively introduced and delivered. Financial institutions will also be called on to use the money released from cuts in their required reserves to support small and micro businesses and debt-to-equity swap. The government will step up efforts to ensure delivery of the state financing guaranty fund, targeting at 140 billion yuan of loans for about 150,000 small and micro firms each year. Solid implementation is urged of the re-lending policy targeting small businesses. Commercial banks will also be encouraged to issue financial bonds to these businesses with the bond issuers exempted from the requirement of continuous profit-making. Local authorities that have made visible progress in expanding financing guarantee and reducing costs for small businesses will be meaningfully rewarded. At the same time, the government will resolutely phase out the "zombie" companies to free up their under-used funding, and crack down on illegal financial institutions and activities to forestall risks. "Any financial and fiscal policy measure must be considered in a broader context and all measures be well synergized and fully delivered to reduce costs for businesses in the real economy and sustain the sound momentum of growth through the latter half of the year," Li stressed.